U.S. sanctions on Iran, Venezuela tighten markets, but soaring U.S. shale output offsets some of the disruption. Oil fell on Wednesday after the U.S. government said shale output would rise to a record next month, denting a rally that sent prices to their highest this year. Brent futures eased by 53 cents to trade at $65.92 a barrel by 1312 GMT, still within sight of Monday's high for the year of $66.83. U.S. futures were at $55.77 a barrel, down 31 cents, having touched a 2019 peak of $56.39 earlier. "Brent is trading in a narrow corridor at around $66.5 per barrel, while WTI is at around $56," Commerzbank analysts said in a note. "This still leaves them within spitting distance of the three-month high they achieved at the start of the week ... It seems that the sharp rise in oil production in the U.S. is having a slowing effect after all." 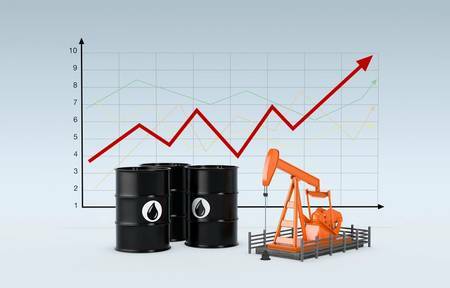 The oil price has risen by more than 20 percent so far this year, supported largely by an agreed 1.2 million bpd production cut by the Organization of the Petroleum Exporting Countries and several other major exporters such as Russia. The restrictions on the energy sectors of Iran and Venezuela by the United States have added to the drop in availability of the kind of crude oil that yields more valuable middle distillates, rather than cheaper fuels, such as gasoline. Despite the sanctions, Iran's crude exports were higher than expected in January, averaging around 1.25 million bpd, according to Refinitiv ship tracking data. Many analysts had expected Iran oil exports to drop below 1 million bpd after the imposition of U.S. sanctions last November, although it was much below the peak 2.5 million bpd reached mid-2018.